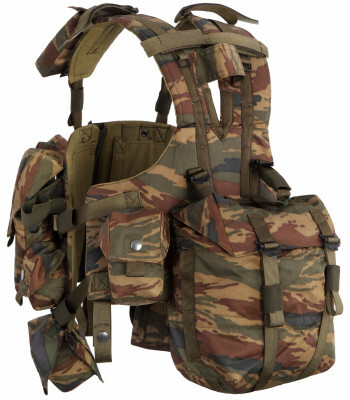 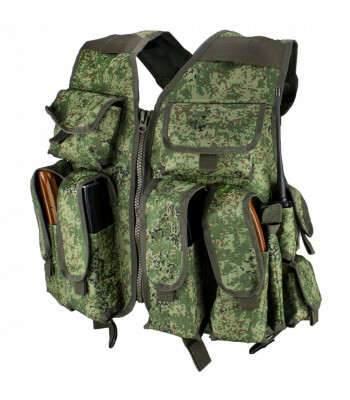 Here you can find Chestrigs - popular type of vests, when pouches placed on chest to provide fast access to mags. 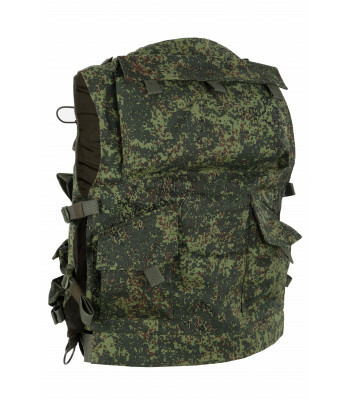 It's decrease time of recharging. 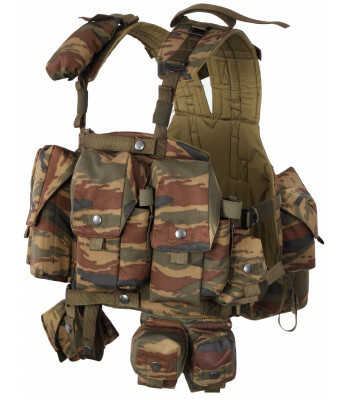 They created mainly for CQB, because pouches on chest not the best decision for forest, when you need lay on ground. 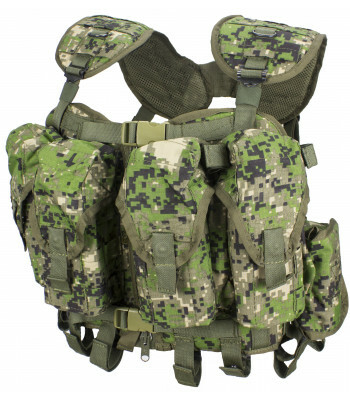 If you are looking something for forest - look at Belt Systems! 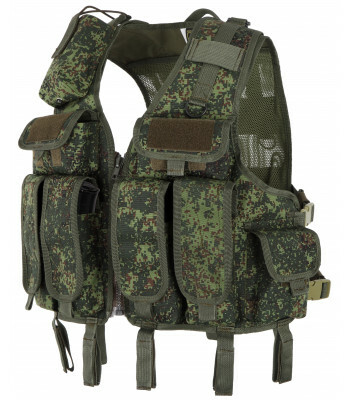 OVERVIEWChest Harness V2. 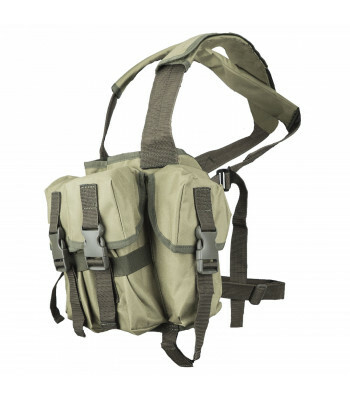 Constructed in 1997. 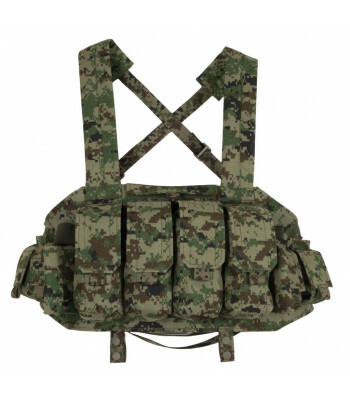 In development of this vest participated "Vympel" spe.. 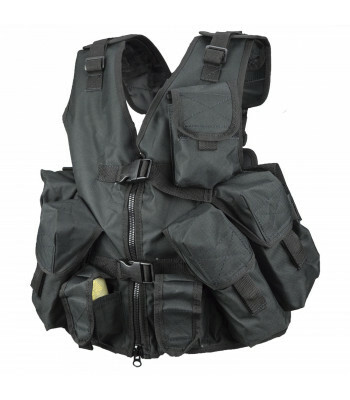 This vests are the most classic type. 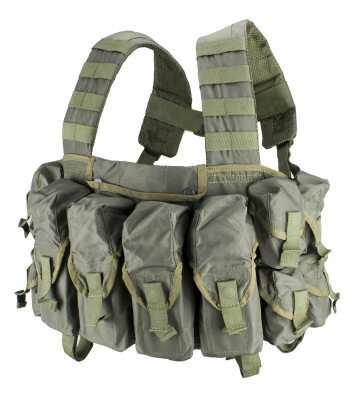 They are massive, but include a lot of pouches. 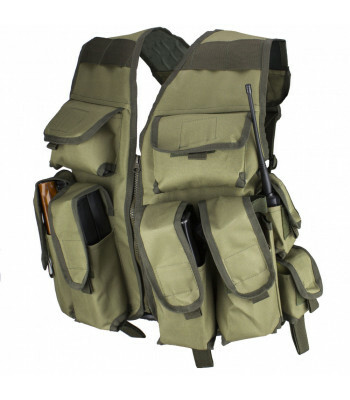 Now it's not very popular type of vest, because all pouches are sewn to the vest, but this vests have big advantage - price! 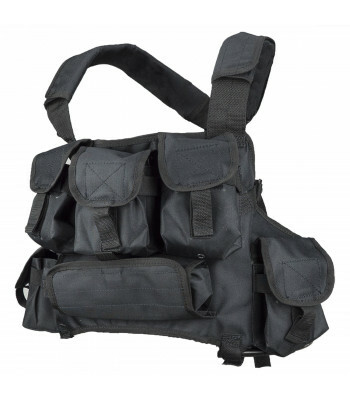 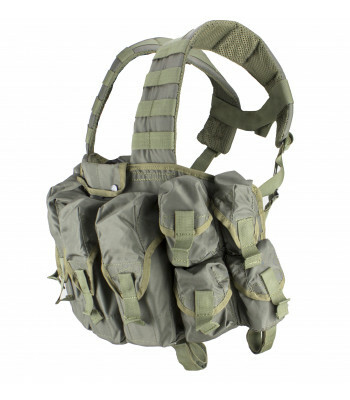 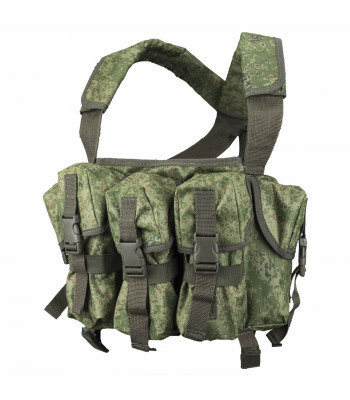 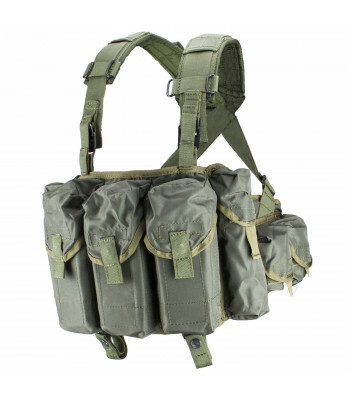 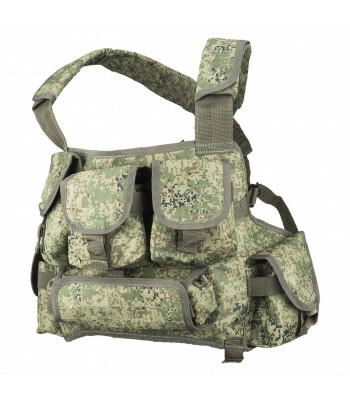 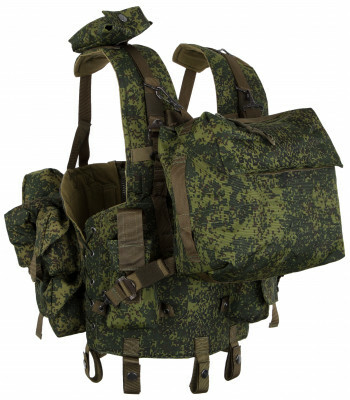 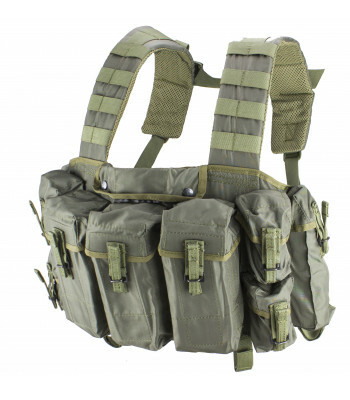 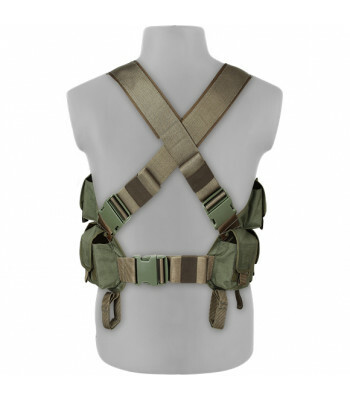 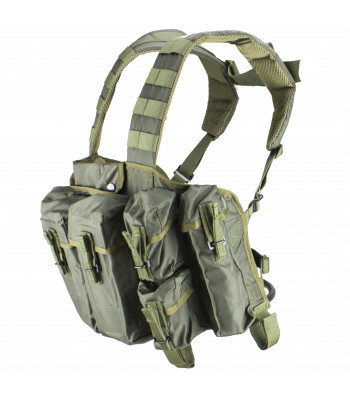 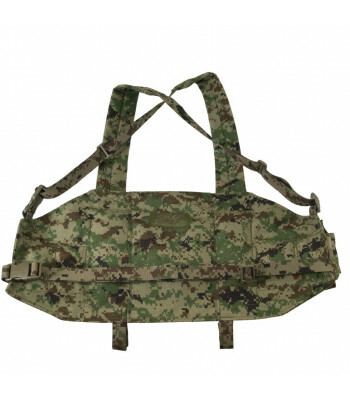 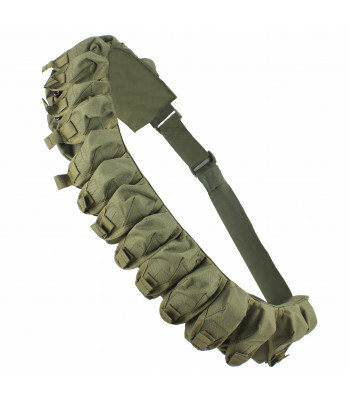 It's almost twice cheaper, than MOLLE vests, or even more. 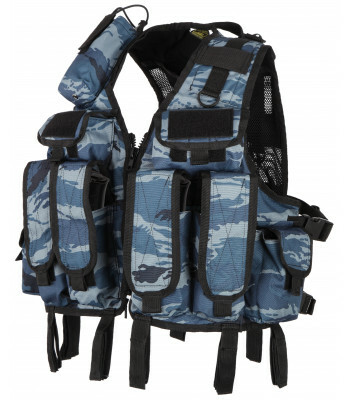 If you are looking for durable and affordable vest and don't need specific function and pouches - this vests will be the best choice! 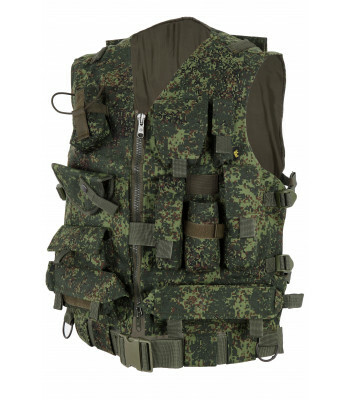 Grad vest created for Police units, but also used by Russian Army soldiers. 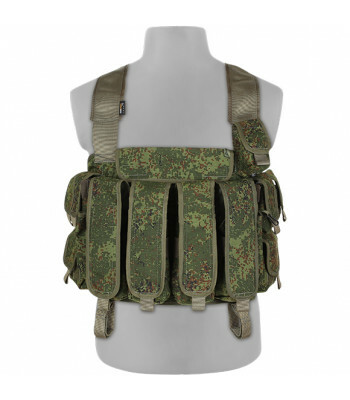 It was very popular vest..
V-12 is most popular OMON vest. 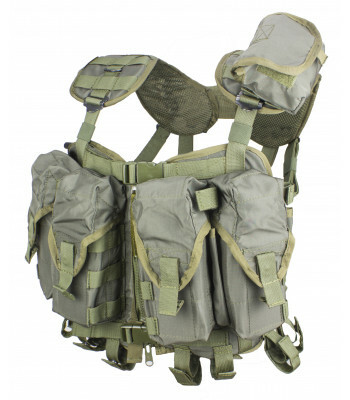 It was produced in start of 2000 years and still in use. 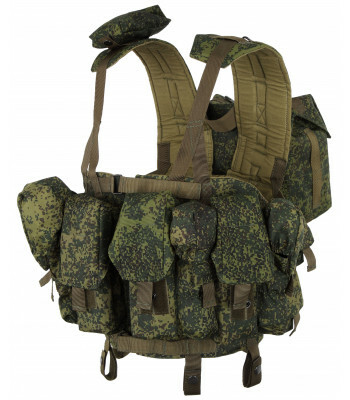 It balanced..